BACKPLANE – at ICP America, we offer Industrial PICMG 1.3, PICMG 1.0, PCI, PISA, and ISA backplanes. Our high quality backplanes are offered in server grade, graphics grade, 1U, 2U, 2-20 slot, full size, half-size, and segmented formats. They are a part of our SPXE, PXE, PE, PX, PCI, HPE, IP, PIAGP, and BP series. 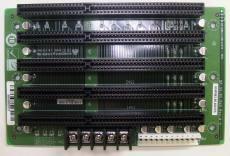 Our ISA backplanes are industrial three to fourteen slot passive ISA backplanes, and our PCISA backplanes offer 3-19-slot compatibility. Additional backplanes include: PICMG 1.3, PICMG 1.0, and PICI/PICOe. The PICMG 1.3 backplane model is a server grade PICMG 1.3 backplane. 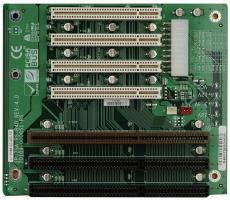 Included within ICP America’s PICMG offerings are the SPE-4S, SPE-6S, SPE-9S, and SPXE-14S models, the latter of which features a 14 slot PICMG 1.3 backplane with 1 PCIe x 16 slots (x 8 signal), and 12 PCIe x 1 slots. The PICMG 1.0 offering include: 4-10 slot, 12-14 slot, 19-20 slot, segmented multi-system, and 1U and 2U Butterfly backplanes. Our PCI/PICOe backplane varieties include: HPE-3S1, HPE-3S2, HPE-4S1, HPE-4S2, HPE-5S1, HPE-5S2, HPE-5S3, HPE-6S1, and HPE-8S0. Each offer half-size backplanes and varying slot offerings. PCISA backplane options include: IP-3S-RS, IP-3SA-RS, IP-4S-RS, IP-4S2-RS, IP-4S2A-RS, IP-4S3-RS, IP4S4-RS, IP-4SA-RS, IP-5S2-RS, IP-5SA-RS, IP-5SA2-RS, IP-6S-RS, IP-6SA-RS, IP-7S-RS, IP-8S-RS, IP-10S-RS, IPX-9S-RS, AND IPX-13S-RS. 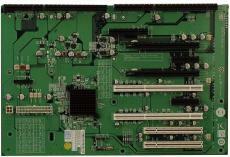 ISA backplane offerings include: BP-3S-RS, BP-4S-RS, BP-5S-RS, BP-6S-RS, BP-7S-RS, BP-8S-RS, BP-10S-RS, and BP-14S-RS. Each ISA backplane type is equipped with industrial multi-slot passive ISA backplanes, AT power connectors, and DC terminal block.